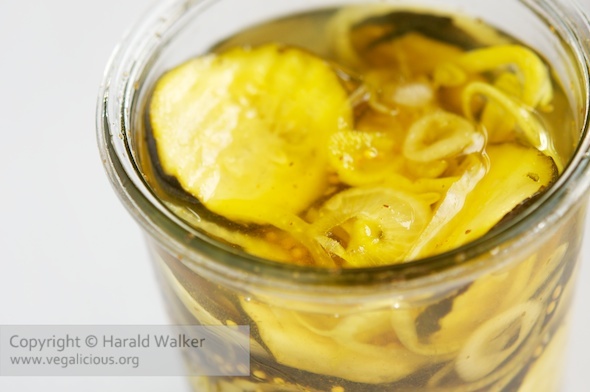 These pickled zucchini are great. We have really been enjoying them along with our meals. We cut a bit thinker than the 1/8 inch in the instructions. Otherwise we did follow the instructions and were very happy to have firm pickled zucchini. They are lightly sweet sour. 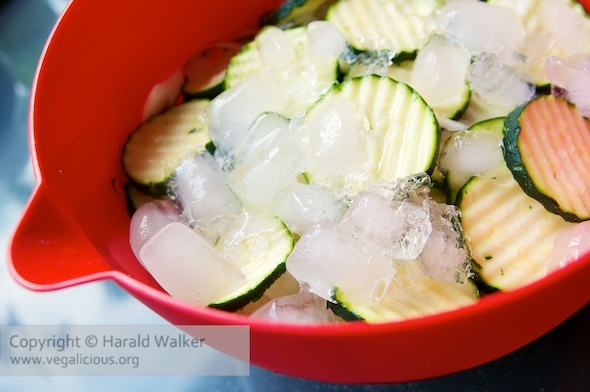 Do use lots of ice cubes as that is the big trick, as well as pouring the warm brine over the zucchini, and not cooking them. I hope you give this easy recipe a try and enjoy. Posted by Chris Walker on August 23, 2010 in Reviews, Zucchini.